As typhoon Chan-hom looms over southern China, we take a look back forty years - at the deadliest typhoon to hit China in modern times. Typhoon Nina spawned in the south Pacific on July 29, 1975. Pretty early on, it was clear that Nina was no typical storm - when it hit the island of Taiwan, its winds were gusting upwards of 138 mph (222 km/h). Nina triggered landslides in Taiwan, near Hualien, which ultimately killed 29 people and destroyed thousands of homes. Infrastructure was wiped out throughout the island, except for the bold (and/or crazed) pilots flying to and from Taipei Songshan International Airport, who maintained flight service throughout the storm. But Taiwan's problems were nothing compared to what happened when Nina struck the Mainland. 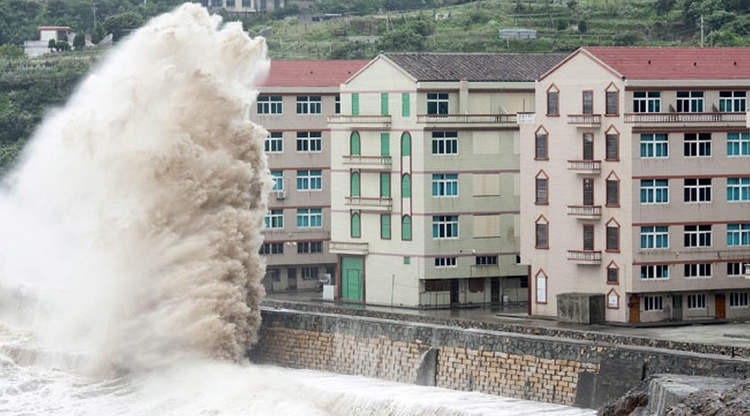 The storm's power had waned by the time it made landfall in Fujian Province. Winds were down to about 70 mph (110 km/h) and it looked possible - easy, even - to last out the storm. But while the damage caused by the typhoon itself was modest, the torrential rains it brought to inland China proved to be catastrophic. The map above shows Typhoon Nina's (also transliterated as "Ninna," from the Chinese 妮娜) path over Taiwan and into southern China. Most importantly, it shows the darkest blue area - signifying some 400 millimeters, or 1.3 feet - of rain falling in Henan Province. That area was home to the Banqiao Dam, one of hundreds of waterworks built during a construction boom in Henan's Zhumadian prefecture during the 1950s. More than 100 dams and reservoirs were built at the time, and were held to the construction standards that one would expect to find in post-revolution, Great Leap Forward-era China. Soon after the Banqiao Dam was completed in 1952, cracks began to emerge. So from 1955-56, the structure was reinforced using Soviet specifications (which the Water Resources Ministry would later admit were inappropriate for the region). After renovations, Banqiao was dubbed the "Iron Dam" to reflect its newfound invincibility. But this confidence was misplaced. On August 5, 1975, the heavy rains from Typhoon Nina brought far more water than the Banqiao could handle. And the dam's communications system was knocked out by the storm, leaving workers to fend for themselves. Before they could properly release all of the extra water pressure built up by the massive rainfall pressing against the dam, the structure buckled. The Banqiao Dam collapsed, unleashing a massive wave that destroyed more than 60 dams in its path. This sequence of collapses led to tremendous flooding throughout Henan, completely obliterating towns and villages in the region. One singular wave measured ten kilometers across, and moved at speeds of 31 mph (50 km/h), creating a temporary lake nearly as big as the state of Connecticut. A definitive death toll is nearly impossible to compute. It is thought that around 26,000 people died more or less immediately from the dam collapses, while another 145,000-230,000 were killed by the ensuing diseases and famines. Much of Henan's crops were destroyed by the floods, and the water-soaked areas quickly became hotbeds for infectious diseases. The People's Liberation Army conducted emergency relief efforts, but all rail lines going into Zhumadian had been destroyed in the flooding. They were able to air-drop food into some affected areas, but many thousands were left stranded, without food. Today, Typhoon Nina and the Banqiao Dam catastrophe are historical obscurities - casualty numbers from the disaster weren't declassified until 30 years later, in 2005. Even then, the deaths are overshadowed by 1976's Tangshan earthquake, one of the deadliest natural disasters in modern times. The disaster is known in Chinese as 河南“75.8”特大洪水 - The Henan 75.8 Flood (with 75.8 signifying August, 1975). It is one of the deadliest natural disasters in the 20th century - but wasn't even China's deadliest of the decade. Flooding in Zhejiang, green waves in Shandong and trees felled on Shanghai's favorite bar street. The long, twisting route to a Bible that could be both read and said. From Shanghai to Hong Kong, East China braces for two typhoons. China Chronicles: How and why did China seek rapprochement with the United States? 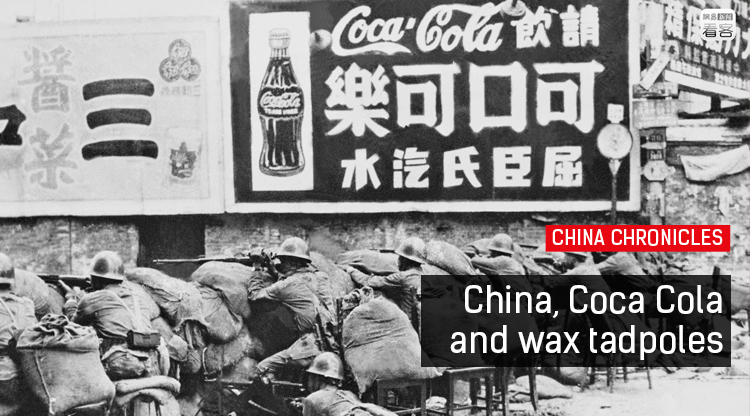 What prompted China to pursue detente in the chaos of the Cultural Revolution?